Stuart Roper’s Demonstration – what a great turnout! 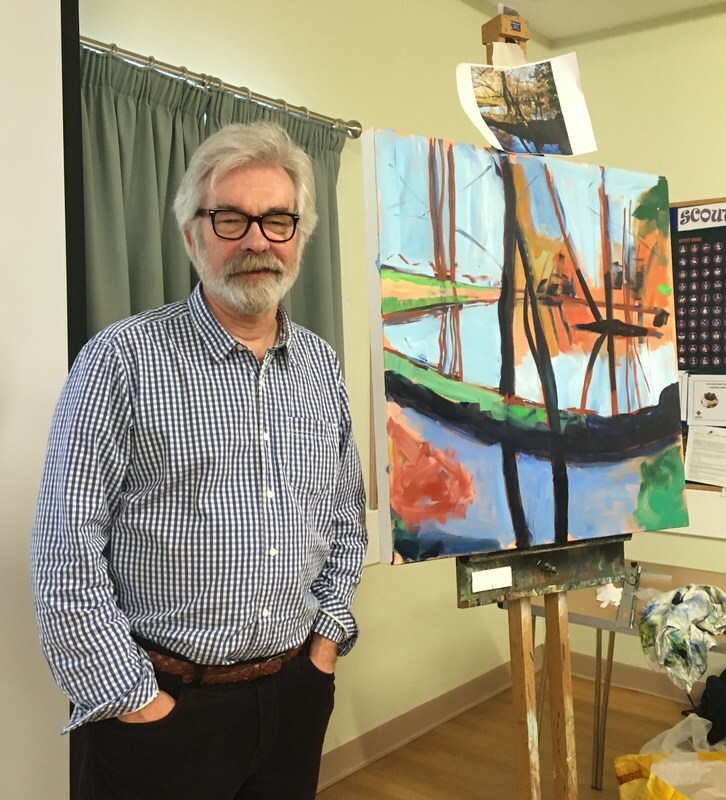 Stuart Roper, a prominent and experienced artist tutor, came all the way from Ludlow in Shropshire to demonstrate “Light in the Landscape” to Lechlade Art Society on Tuesday 13th November, using the medium of acrylics. He used a photograph of a small natural pool surrounded by autumnal trees as reference. Stuart worked on a large canvas and laid in a background of warm orange, then putting in the main shapes of the composition using confident brush strokes. His really useful hints and tips, all the while, were coming thick and fast and many of the members were taking copious notes of his words. The afternoon went all too quickly and although he wasn’t able to complete the painting, he finished it later and sent a copy of it for us to feature on our website. Stuart ran a successful workshop for LAS on Saturday30th March. Pics at the end of the page.